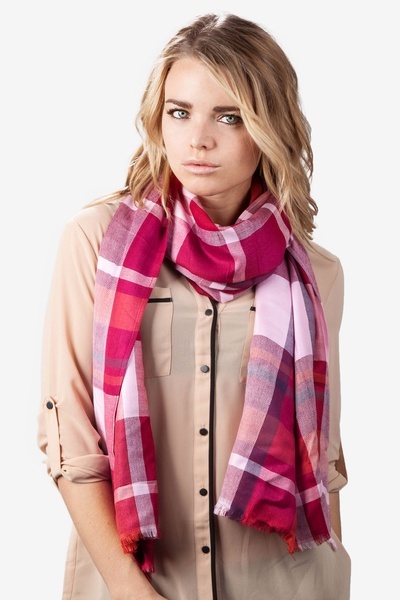 A plaid scarf offers sophistication and style to any outfit. 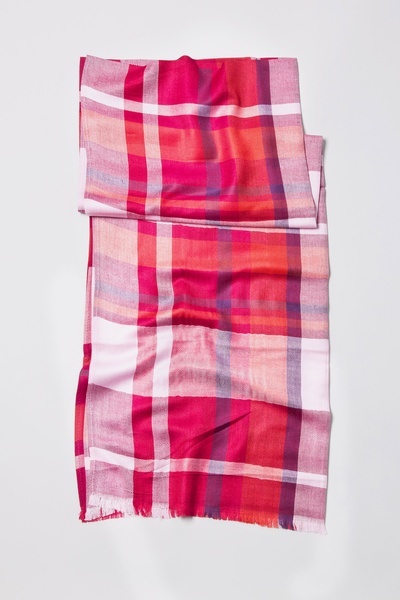 Introducing our Bently scarf, woven with soft, lightweight viscose material that every woman will love draping around herself. 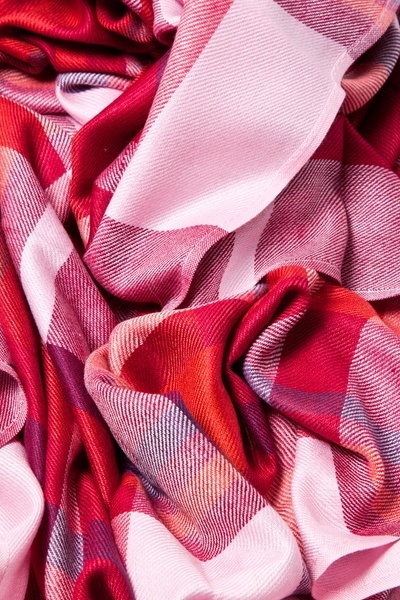 Featured in a red background... read more A plaid scarf offers sophistication and style to any outfit. 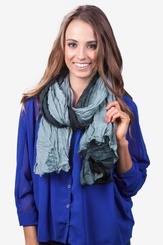 Introducing our Bently scarf, woven with soft, lightweight viscose material that every woman will love draping around herself. 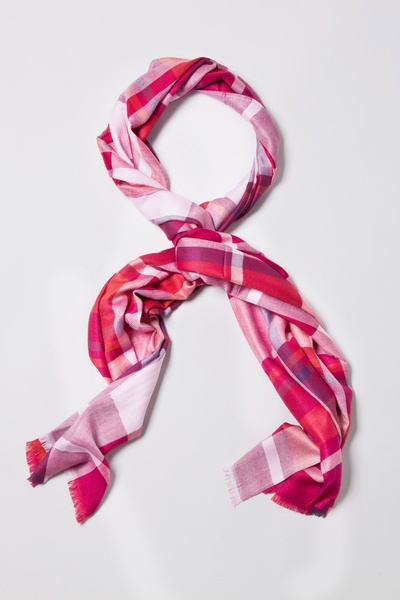 Featured in a red background and navy blue, burnt orange, pink and burgundy accent colors for a truly remarkable scarf. 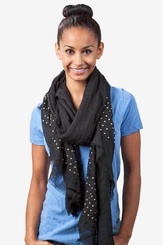 Torn edges complete the look for a must-have accessory! Imported.